Toucans are species from Ramphastidae family. The Ramphastidae family includes five (genus) types and forty different species of Toucans and they are brightly marked and have large, colorful bills. 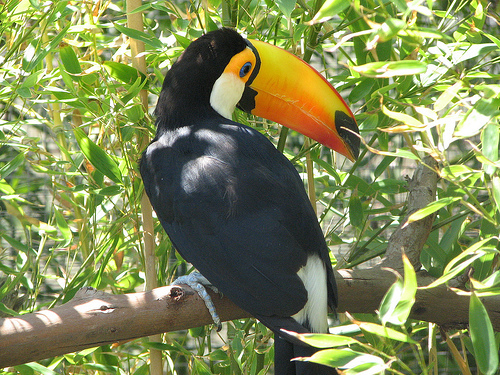 The name of the Toucan comes from ‘tucano’, which was the name given by the Tupi Indians of Brazil. They are found mostly in tropical and subtropical forests in South America. The smallest Toucans in size are the Lettered Aracari, weighing around 130 g and are 29 cm long, while the Toco Toucan is the longest about 63 cm and weigh of 680 g. Their bodies are short and compact when compared to a crow. The neck is short and thick and has a rounded tail which varies in length, from half to the whole length of the body. Their wings are small. Toucans are forest-dwelling birds who are moderately gregarious and fly in straggling flocks like parrots. They like to remain high in the trees where they only hop from branch to another branch. Their legs toucans are short and strong with their toes arranged in pairs with first and fourth toes are turned backward. Toucans do not show any sexual dimorphism in their complexion. However, the bills of female toucans are sometimes straighter, and are normally shorter and deeper than male bills. The largest Toucan feathers are commonly black with yellow, scarlet and touch of white. The underpart bodies of the smaller Toucan are yellow, crossed by black or red bands. The toucanets have blue marking and sometimes mostly with green plumage. 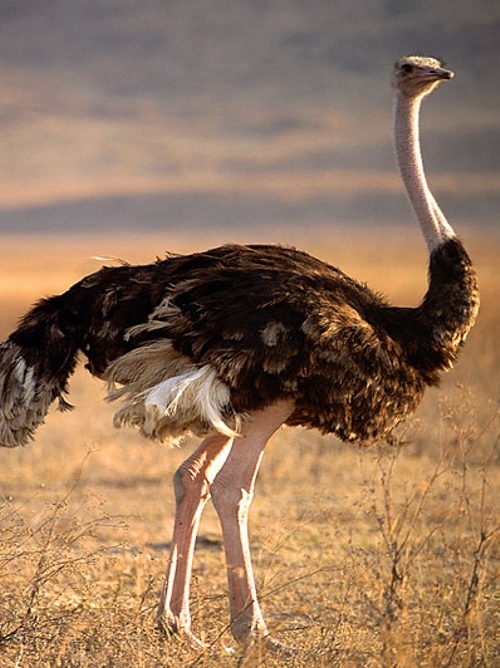 Some large species measure their colorful giant beak more than half the length of the body. This is the hallmark of the toucans. 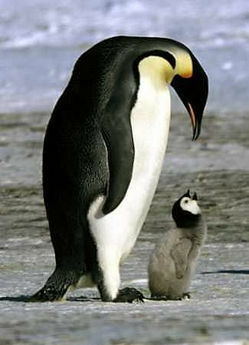 Even though the beak is big, it is very light as it is filled with spongy tissue of keratin between its bone struts. 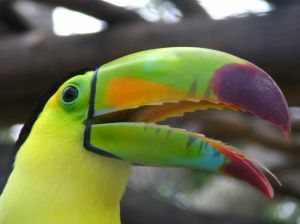 The beak has serrations resembling teeth which historically believe that toucans were primarily carnivorous and captured fish however it is known that they eat mostly only fruit. Researchers have discovered that the large beak of the toucan is a highly efficient thermoregulation system and its size has other advantageous in another ways. It does help them in their feeding behavior. The toucans often sit in one spot while reaching for all fruit within their range. These actions can reduce their energy expenditure. It has also been reported that the beak may also frighten smaller birds, so that the toucan may ransack nests undisturbed. With the beak also allow them to reach deep into tree holes to access food which are unavailable to other birds and to depredate suspended nests built by smaller birds. A structural complex probably unique to toucans where involves the modification of several tail vertebrae. Unlike other birds, the rear three vertebrae are fused and a ball and socket joint are attached to the spine. Because of this, toucans are able to snap their tail forwards until it touches their head. Toucans normally sleep in the posture where they normally would appear as a ball of feathers with the tip of their tail sticking out over the head.